This post is way late, and honestly I haven't been posting as much as I'd like to, but I sometimes feel too overwhelmed with life. For the past two weeks, my father has been in the hospital from diabetic complications and then my primary application for medical school was finally verified and all of the secondary applications came all at once! So life has been life... but I did have a relaxing Labor Day, which is what Labor Day is truly for! 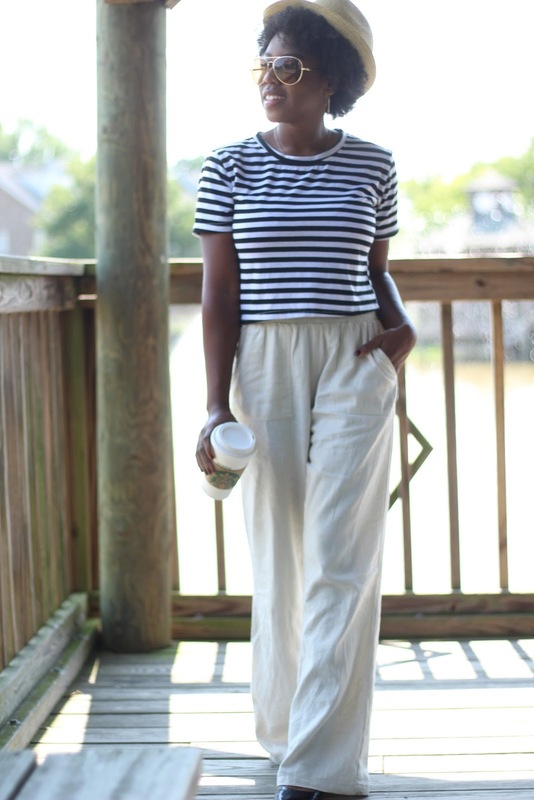 For Labor Day weekend, I had to breakout my linen pants. 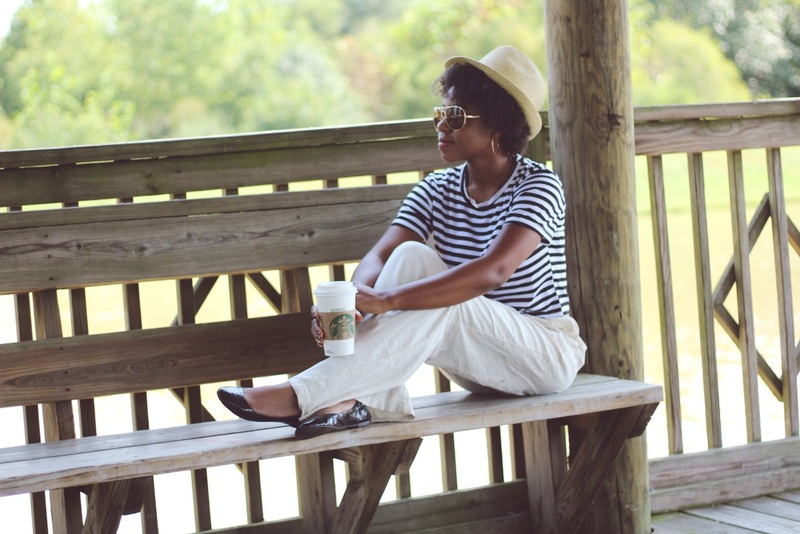 Although I'm feeling all the Fall "Feels", it is still technically summer and I feel like Labor Day is the unofficial end to the hot season, so stripes and linen pants felt like the right outfit to say goodbye on a warm day in September! 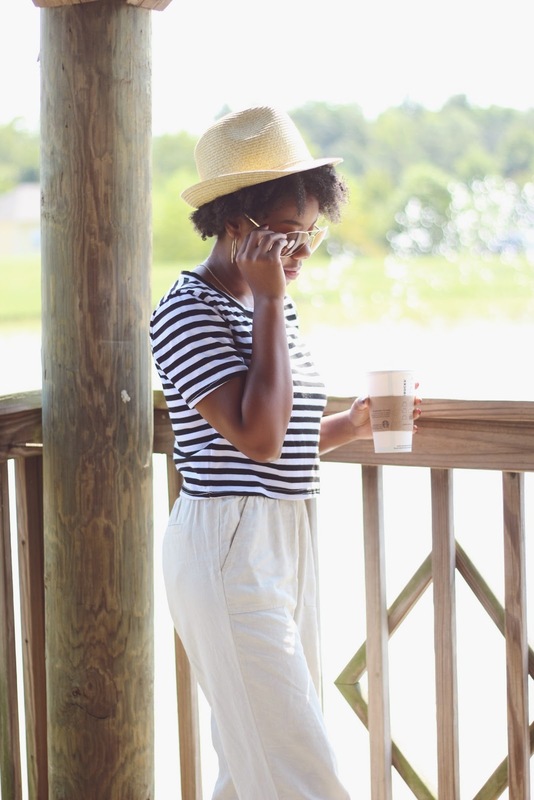 Usually our summers down here are blazing HOT, and shorts are the go-to, but sometimes I like to wear long pants and jeans can feel too heavy for an extremely warm summer day. 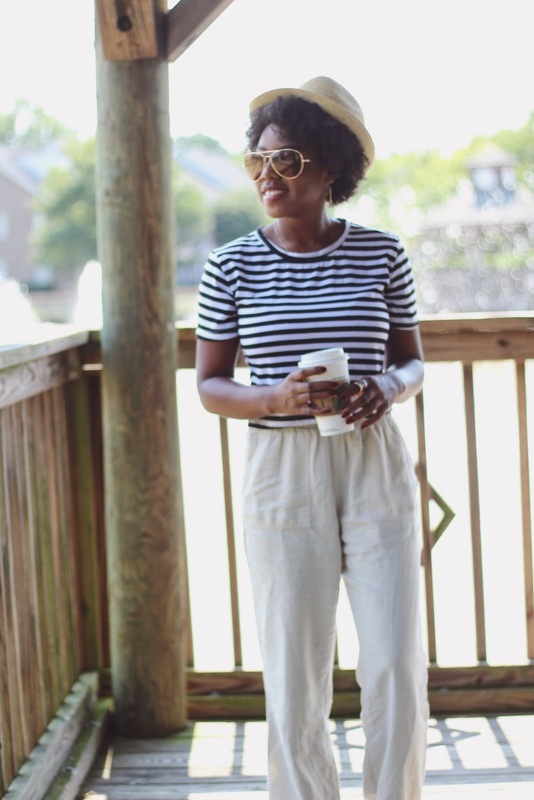 But these linen pants are the perfect solution! The lightweight material and flared legs help keep me cool and breezy! 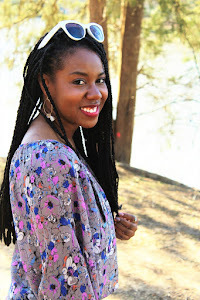 No wonder linen pants are a resort vacation staple! With the devastation in TX last week with Hurricane Harvey and the impending Hurricane Irma brewing, I hope everyone is staying safe in NC, SC, GA and Florida.